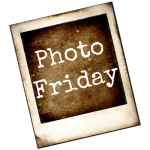 Today’s Photo Friday “Signs of Autumn” challenge prompt actually touches on one of my photographic regrets – the fact that every year I say I’m going to spend an Autumn afternoon driving around our area and taking pictures of the gorgeous fall foliage, but never actually get around to doing so. But that isn’t going to stop me from participating in the challenge this week! 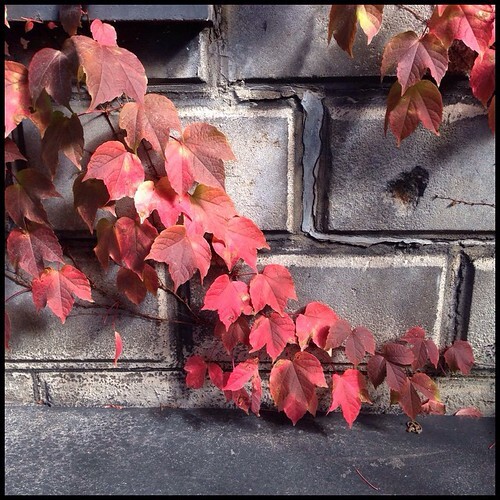 One of my favourite fall photos was taken last year and captured the ivy growing on the side of our house after it had changed from its normal vibrant green of summer to various depths and tones of autumn red. I think the reason I love this picture so much is because of the way the red softness of the leaves stands out against and compliments the rough gray of the stone blocks. I think ivy growing on brick or stone buildings is a delight, and I’m so glad I own a house that sports such a lovely feature. Great Shot indeed. . reflecting that the things would change for sure and nothing stays forever..
That is a lovely picture. My plans? Tomorrow, spending some time with my brother in law with autism. Trying to introduce him to some new experiences he wasn’t exposed to where he used to live- taking him to the library, and our last outdoor farmer’s market, hopefully. Thanks! Your weekend sounds like fun – enjoy! We been having a wonderful fall here in North Idaho. I have a few thoughts what we might be doing over the weekend. Haul the items on my sew machine desk to the thrift store. And maybe get some firewood. I like the colors too. Nice picture. Parul Thakur recently posted… This is your captain speaking.. 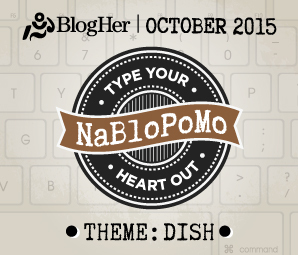 Previous post: NaBloPoMo November 2015 – Are you up for the challenge?